So that’s the ending referred to above. 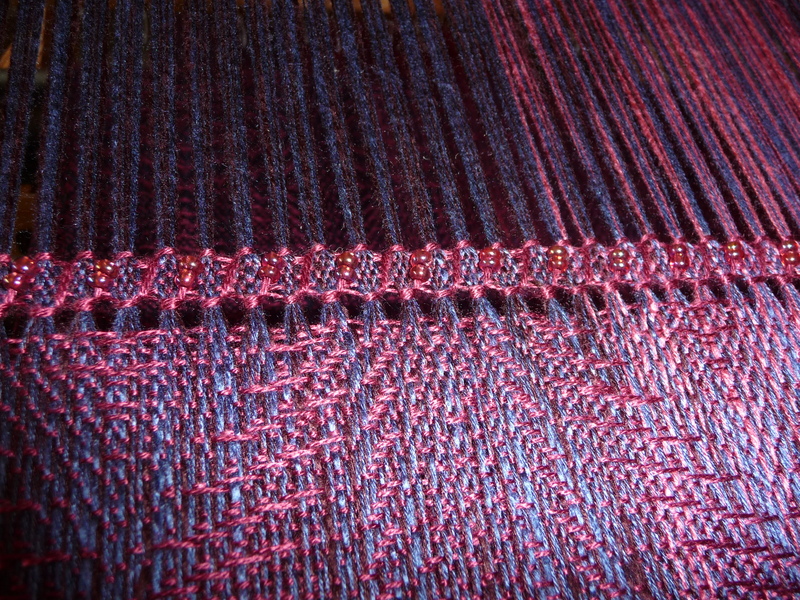 That’s the beginning of a warp for a new venture, in my favorite color. 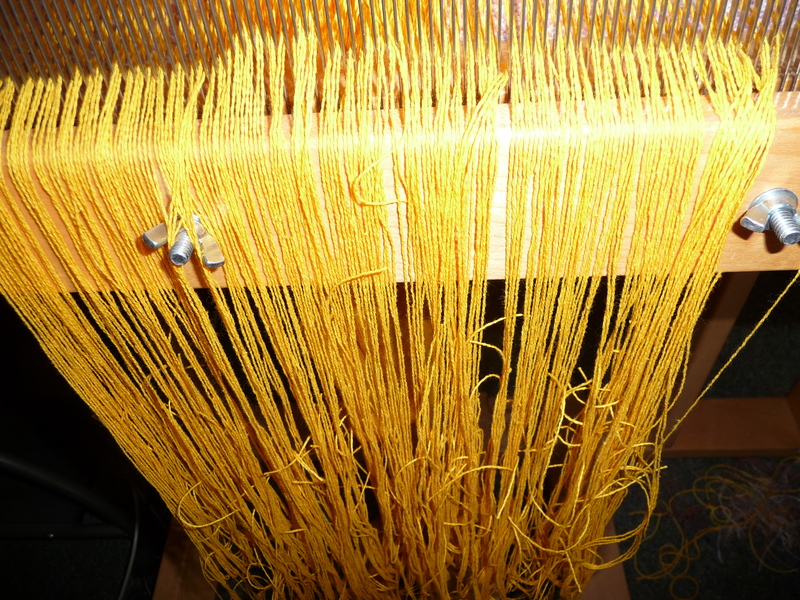 Cotton, 24 threads to the inch, with a slight sheen. Care to guess what it’ll turn into? Kitchen towels it is, for the first time (yes, you read that right!) 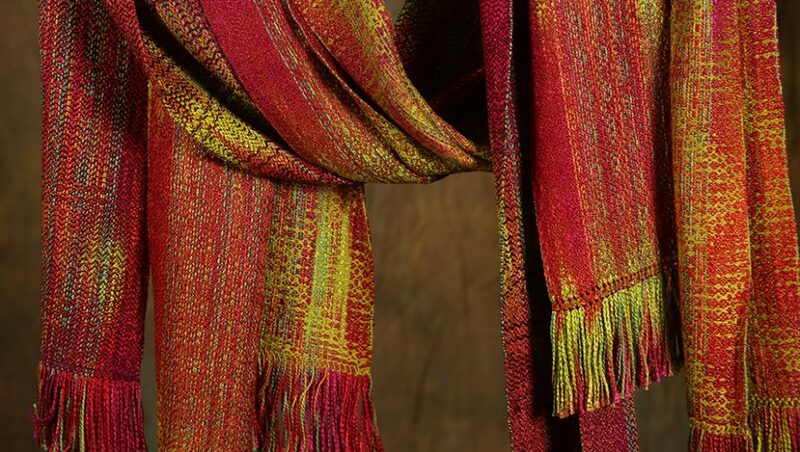 in over thirty years of weaving. I’ll write more about them and why I’m taking this Giant Step in a few days. Stay tuned . . . .
Nope. It’ll be household items. Functional. Lively. Dish towels. And if it’s not dish towels, it’s snot rags. That’s FOUR guesses. And nope. I’ll give a few other folks a shot at this before I reveal the answer. Right now, it’s ten inches. That’s half. Full width will be twenty. 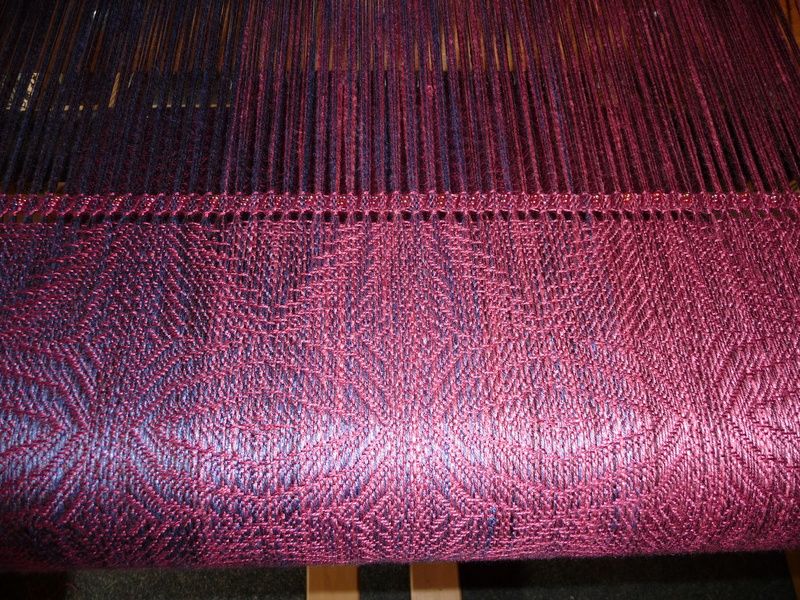 480 warp threads total. Whaddaya think?? Table runner/wall hanging/bell pull/place mats! Care to mention how wide it will be? Or do I have count the threads and multiply?